In November 2014, Weebly launched a huge new feature that its customers had been begging for: membership registration. Weebly Membership makes it possible for users of the platform to do more with their websites, by allowing individuals or groups to access exclusive content meant for their eyes only. Owners of photography websites, for example, might invite registered members to view limited-edition prints, whereas writers may opt to make a blog post visible only to a particular audience. When building a Weebly Membership site, there’s no limit to the ways in which you can engage your audience. 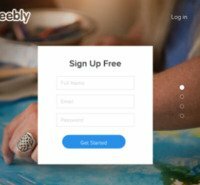 Here’s a closer look at Weebly Membership, and why you might want to use it for your site. 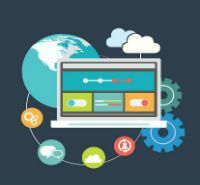 Relatively few website builders offer membership options for site administrators, and for those that do, the registration process is often complex, clunky, and underwhelming. This is not true in the case of Weebly​, which has an easy-to-activate membership option that takes the pain out of the registration process. 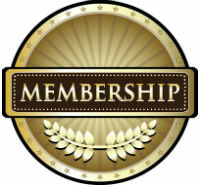 Activating Membership on Weebly is currently limited to users who have Pro or Business accounts. Pro accounts have the ability to manage up to 100 members, while Business accounts can work with an unlimited number. In either case, the click of a mouse lets you enable login and registration forms, which collect your users’ information and allow them to access different types of restricted content on your site. You can even segment registered users into different groups, helping you deliver the right content to the right people. In addition to the Sign-Up links in Business accounts, you can also add members to your group in two other ways. Either you can enter their email addresses directly into Weebly, or you can upload an existing database of users from a spreadsheet. No matter which method you choose, Weebly will send out customized emails that include a link your users will need to click to confirm their membership. You also have the option to switch on the Require Approval setting, which means that you will have to manually approve new users before they can access protected content on your site. Weebly also makes it simple to search through your membership database if you’re ever looking for someone in particular. And if a user forgets his or her password, he or she can use the password reset tool to painlessly create a new one. Once your site has some registered users, you can divide those users into different groups of your choosing. Just create group names, and select which members belong in which group. By default, every page on your Weebly site is publicly visible. But after implementing Membership, you can make individual Web pages or entire sections of your site accessible only to particular individuals or groups. You might want to do this if you have a large membership and a great deal of content on your site. Weebly Membership opens up many new possibilities for your website, blog, or e-commerce store. 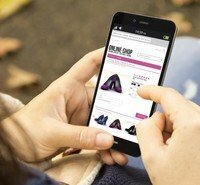 By activating this feature, you can develop a much more engaged audience, and use your website in ways you may not have considered before. Get started with Weebly Membership today, and start delivering exclusive content to your newly registered users. Interact with your audience in a whole new way when you use Weebly Membership for your website, blog, or e-commerce store. This game-changing feature makes it possible to build a more loyal following by sharing your awesome content with specific segments of your readership. Turn on Weebly Membership today, and start building a captivated community tomorrow. Now that know the value of maintaining membership on your website, learn how quickly you can make a blog that delivers specialized content to your most loyal readers.